Playing at the beginning of the week on a Monday has its advantages and disadvantages. For me, writing this post on the Friday night after the Monday jam I feel no worse for the wear as I made it through the week. Even better, I took the Monday off following a dog trial weekend so I had a little time to prep for the jam. For me that didn’t include practicing but it did include getting my multi-track gear out, tested and mobilized for the jam. I feel the recording quality has deteriorated over the last few weeks so I figured this week would be a good week to break out the old Mackie HDR-24 and record us the right way. With Scott scheduled to miss the jam, I had just enough microphones at home to piece-meal this recording session with recording just 1 drummer. I currently have several of my microphones lent out to people and haven’t gathered them all back. While Donna couldn’t make the jam, Scott surprised me when he showed up. I was able to at least stick Donna’s mic in Scott’s kick, and a centered the one overhead mic in between both kits. I think it worked out pretty well. Short of that all the recording an micing of the instruments worked out and I got all 12 clean channels with no buzzes and no drop-outs. I could expect anything better. From the first moment of the jam playing didn’t come easy, not practicing all week didn’t help me a bit, and there were only a few moments where it seemed to come easy. Nevertheless, the recording technique helps hide the blemishes while highlighting what’s good. 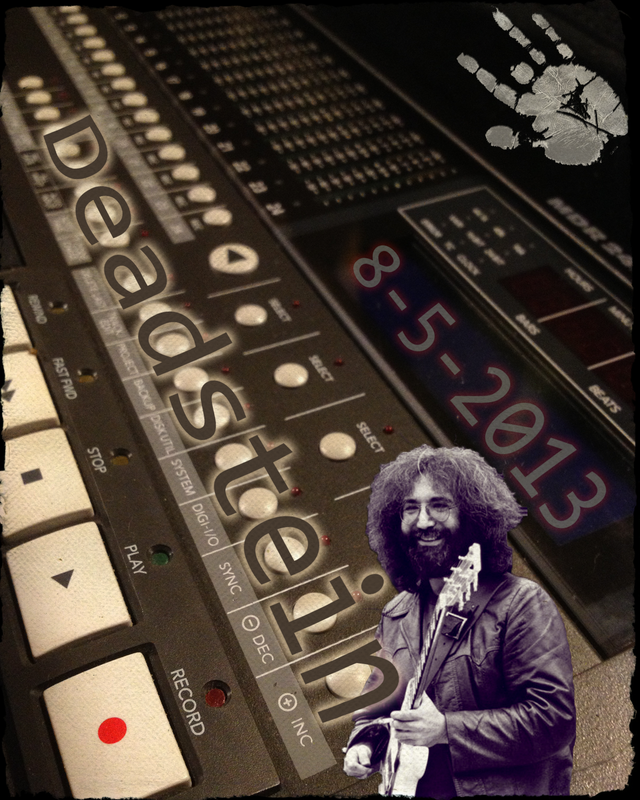 With that stated, the recording produced some of the best sounding Deadstein in our current configuration. I think Walter was our only guest for the night, but Chick Corea was rehearsing the in studio next door. Some how we managed to get 19 songs in with all the set up and take down and we weren’t playing with any urgency as the night progressed. Somehow though, after listening to all the music, it feels like a full meaty night of music. It is encouraging to me and makes me want to gather up a few more of my mics so I can continue to multi-track. Let’s see how long that lasts. Freak Out!